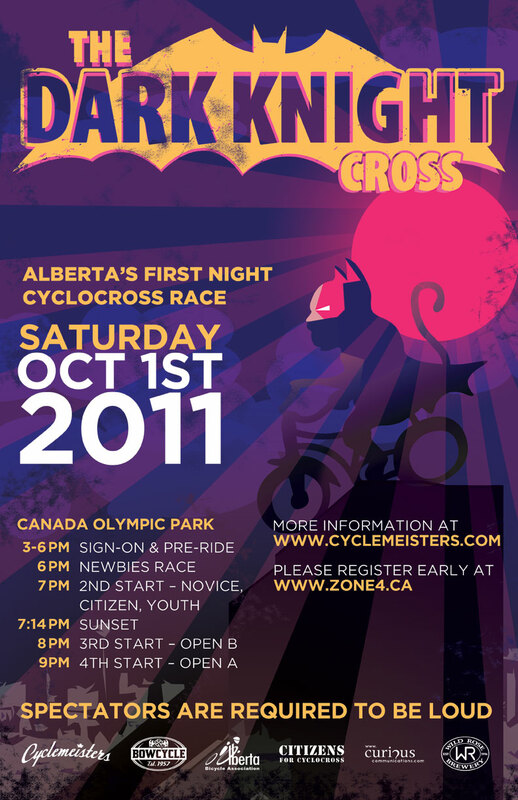 I’m not joking when I say that the highlight of my entire cycling season, is hands down the Dark Knight Cross Race. This year reassured me of that fact, without question. It wasn’t that many years ago now. Well, okay, it was probably 5-6 years ago… Dang. Anyway, I remember my focus was still on MTB, fully. To me MTB was all there was. I didn’t do road or want to, and I’d never even heard of CX really. I was out for a trail ride on my own in the valley, and I ran into Pepper. I didn’t know her, but I recognized her. I said ‘Hey…’. She said ‘Hey’. I asked if she was going to Canmore for what I think was the Iron Lung. She said ‘No. I’m already in cross mode.’ I didn’t know what that meant, but I said something like ‘Oh yeah’, and nodded knowingly. Then she added, ‘It’s all about cross’ and then smirked… I didn’t get it, but I never forgot it, and I still remember it today because I’ve caught myself saying it more and more the last few seasons. 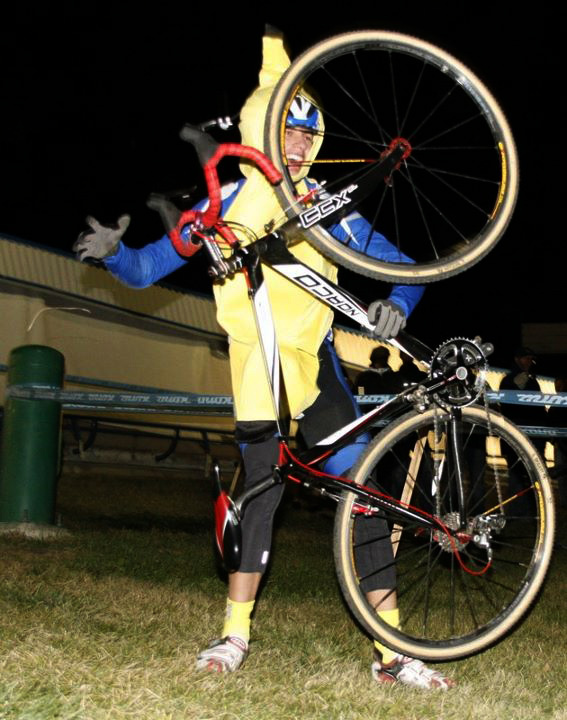 For me, when it comes to racing, it really is ‘all about cross’ for many reasons – and the Dark Knight is the Acme of cross races. This was to be my first race in a long while, and though I was looking forward to the mid-night hi-jinx of the Dark Knight, I was sadly destined to be but a spectator. With that said, I meant to do it up in style – We got whole family packed up, snacks, drinks and cowbells in hand and set off to C.O.P. to soak in all in.